▪ Subaru Rally of Canberra. The best teams and drivers from throughout Asia, Australia and the Pacific test their skills. Welcome to our fourth edition of OZ-Escapes! We thank you for your interest in OZbedandbreakfast.com. This newsletter is designed for you, the traveller, to plan your perfect Bed and Breakfast getaway. With the ANZAC Day long weekend fast approaching, there has never been a better excuse to get out of the big city and head for a relaxing weekend away. There is something for everyone and every budget here at OZbedandbreakfast.com. We have Farm Stay properties, Lighthouses, Beach Retreats and Rainforest Retreats. You will find it all on OZbedandbreakfast.com, Australia’s number one B&B website. Check out these fantastic long weekend HOT $$$ DEALS. Hurry, because they are only valid till April 28th!!!! Book NOW as these deals won't last long! The HOT $$$ DEALS section of our site can be found on our homepage at www.ozbedandbreakfast.com. Our March-April giveaway is almost closed. Get your entries in for a chance to stay with Ray and Marjorie at Bishopthorpe Manor, Goulburn, NSW. For details, you can view the competition banner on our homepage or at the bottom of this Newsletter. Now that the family rituals of Easter are out of the way, we can all concentrate on ourselves and be a little self indulgent. The ANZAC Day long weekend, which is only a couple of weeks away, is the perfect time for reflection. This weekend could be just a mouse click away with the range of B&Bs that are now available on Ozbedandbreakfast.com. Travellers will find this site to be unusually quick and very user-friendly. It profiles accommodation around the country, from guesthouses and beach shacks to heritage city pads. Simply visit the web site and select the destination you wish to visit around Australia. 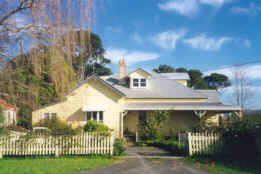 Ozbedandbreakfast.com will do the work for you, bringing up a comprehensive listing of quality B&B style accommodation. A visit to Canberra over the Anzac Day long weekend is a must for those who can get away. Canberra, the National Capital of Australia , is host to over 80 Embassies and the Nation's Institutions, all within a few minutes drive from the home stay properties listed on this website. A must see whilst in Canberra is the newly extended National War Museum. 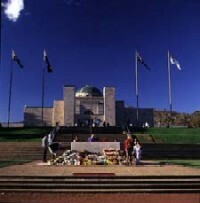 The Australian War Memorial is regarded as one of the most impressive war museums in the world. You can see actual fighter planes, view dioramas of some of the significant battles Australians have fought and spend hours pouring over military memorabilia. Free guided tours are conducted daily between 10am-5pm. If you make it to Canberra, be sure not to miss the Anzac Day dawn Service in front of the Australian War Memorial at 5:30am and Anzac Day Parade at 10:30am. Visit www.canberratourism.com.au for more information. Among the properties on OZbedandbreakfast.com is Birch Corner Bed & Breakfast, located only five minutes from the City centre and close proximity to Anzac Parade making it the ideal location. Run by Leon and Kate Norgate, the hosts offer superb hospitality and scrumptious home made meals using local produce. Guests who stay two nights over the Anzac weekend, receive a complimentary dinner. There are four rooms to choose from ranging from only $65/night. 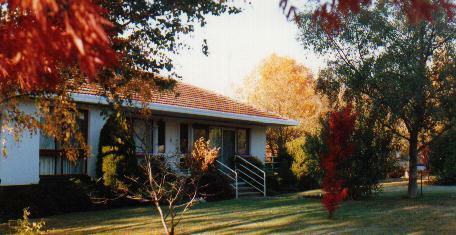 For bookings call (02) 6281 4421 or simply click on www.Ozbedandbreakfast.com for more details. It is worth getting in quick because B&Bs in Canberra, and elsewhere, are likely to be snapped up over the Anzac Day long weekend. Ozbedandbreakfast.com offers a huge range of mid-week and Anzac Day specials to suit every taste and budget. The site is attracting record numbers and is already one of the most visited accommodation sites in the nation. We welcome your comments and suggestions about this newsletter. Please send your feedback to us at info@ozbedandbreakfast.com and a reply will be forthcoming shortly. If you have the time, please sign our online guestbook with your comments on the site or a B&B that you have visited. Tired of waiting forever for web pages to load? You deserve a faster Internet connection! Take a look at what webROCKET can do to your existing system. It cost only $29.95 US, and is used here at OZbedandbreakfast.com.